We love a UK first here at Rocket and this creativity caught our eye this week. Artist Christo, has unveiled his first UK outdoor work in Hyde Park, London which features over 7,500 oil barrels and stands at 65 feet tall. 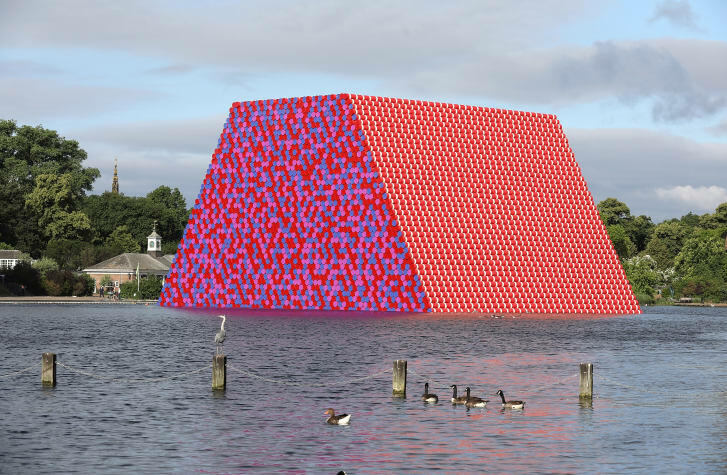 Aged 83, Christo has done a few large-scale installations in his career spanning over 60 years. With his work being entirely self-funded. We look forward to seeing Christo’s next planned ambitious structure in Abu Dhabi. One which will stand nearly 500 feet tall, feature over 410,000 coloured oil barrels and will therfore be the largest sculpture in the world. Creativity and ambition at its best!